Into the lion’s den! The Doctors take the fight to the enemy… but have they already been outmaneuvered? The Doctor event continues, with this episode, the Doctors go deeper into the trap set for them! This issue has more of the classic banter between the Doctors and an excellent piece where the Doctors end up with different companions. As they go deeper into the trap the link with the War Doctor becomes more apparent. 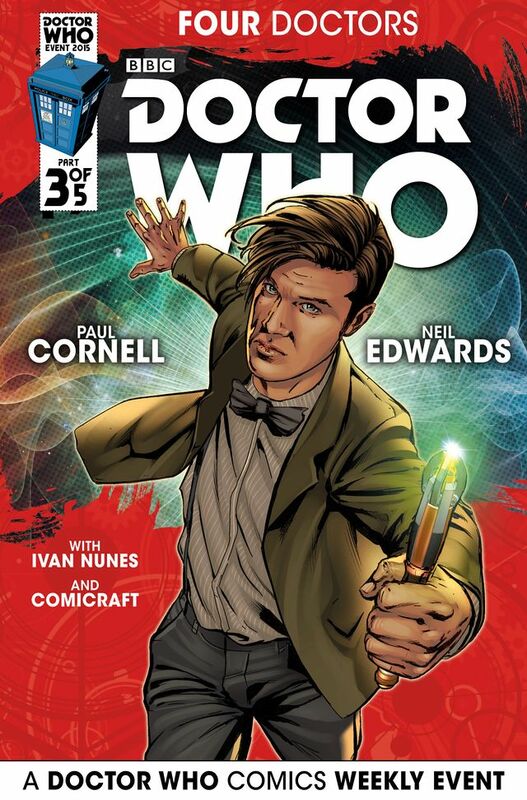 And this looks to be a very interesting story with links to the Time War. The cliffhanger to this issue is very interesting and as equally timey-wimey!